That's it! Finally found my swing. It was there all the time but I didn't see it. "They have ears, but they hear not" as the Holy saying goes. In a nutshell, it's a blend of the Malaska move, Jack's flying elbow (kind of David Lee Gravity golf backswing) and Shawn's dandelion. The trick is to time it correctly. Obviously, gravity is the glue that hold everything together. I finally got it by sticking a laser beam to the end of my 7i. When executing the golf swing properly, it draws the shape of a fish on the ground. Could you believe that!? So simple! Just draw a fish. Go figure. After my April fool post (love the laser beam), I got back to my usual ups and downs with my irons. I couldn't keep going like that so I decided to take a lesson with a new pro at my local club. We had a very good conversation about my golf background, teaching, practicing, competition, my expectations (big change at the beginning of the season or not? ), my commitment, etc. All while I was hitting balls with different clubs and receiving various comments like "I didn't see a practice swing" or "How should I know if your ball went left as you didn't seem to look at a particular target before executing the shot" ;-) I decided to go for the drastic change knowing it would impact my game. The first tweak was about delofting the club. For instance, I hold my 7i with the loft of a 6i/5i. The sole of the club is not brushing the grass and I hit the ground with the edge. We had a conversation about the sole of the club, its edge and their purpose. He showed me how to use those with different lies. This was a real visual change at address. Also, the shaft pointed toward my bellybutton and the lower edge of the club was not in contact with the ground anymore. I had to take practice swings until I brushed the ground with the sole of the club. Only then could I hit a ball. The second tweak was about wrists hinge as a source of power (which I lack). He basically made my arms hang loose with more wrists hinge at address and less "bowed". In this position, the sole of the club is not entirely on the ground (the toe is off). It felt really strange. Like my hands were closer to the ground. Relevant part for me at 3:05 in the following video. Lastely, he gave me some exercice to practice after working on the two above issues. Setup and aim at a target. Hit shots left, at and right of this target without changing the setup. Not sure why but at this stage I had plenty on my mind and didn't ask questions. Definitively happy about the lesson. I worried it would be about positions. It was really about understanding the different parts of the golf club (sole, edge) and their purpose and the source of power in the golf swing. I really like the practice swing i.e. take a practice swing until you obtain the proper brush of the ground. Definitively more work but I feel in good hands. 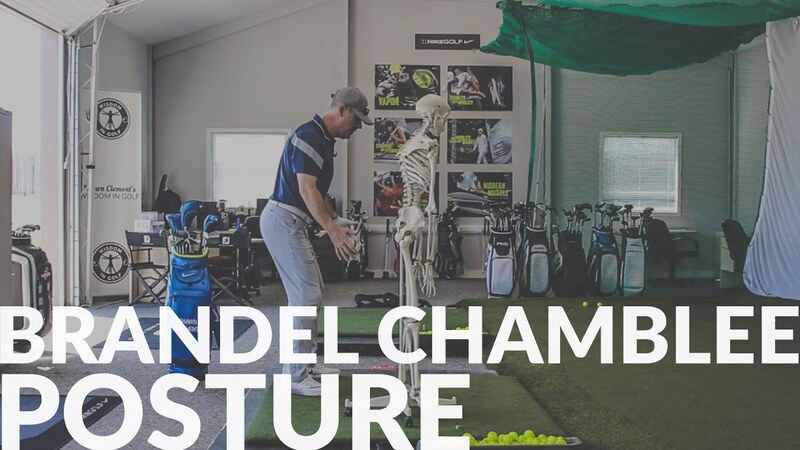 For another good look at this, just thought I would post this Posture and Address video with Donna on this key part you mentioned about the sole of the club in the toe up position at address (starting at about the 2:35 mark) . . . I believe this is Shawn’s version of the wet towel analogy. However, Shawn does not recommend Impact Bags. Lunge Whip/anchor your swing/lag/taut arms/"Indiana Jones"
Practiced for 3 weeks before taking another lesson with my local pro. Worked on taking practice swings until I properly brush the mat before hitting a shot and relaxed wrists as he asked me to do. Some progress regarding the loft of the club and more relaxed with the wrists. I told him about what was going in my mind because I wanted to clear things out. I told him about my 5 different swings (!). I won't go into the details but we talked about the role of the arms and the body and getting distance vs control. So, it depends on what you want to do. We then went into a discussion about intent. My pro uses the PAR acronym which stands for Préparation Action Réaction (works in English too). Preparation is basically the kind of shot you want to make, your target, etc. and your associated setup to match your intent (at that stage I thought Shawn was talking to me ;-)). You then execute your shot and evaluate (Réaction). I've been working on fade and draw, paying attention to my finish position as my Pro asked me to do. My real challenge is the draw and I got some success after two sessions at the range. Going more around is definitively a big change for me. My swing never felt like that before. Found this video with a similar idea. I don't think Shawn ever mentioned different finish position for these shots. Last edited by Ferko; 06-07-2018, 06:36 AM. Something very simple to try is to think about where your "thumbs" finish. For a "normal" draw flavor end up with your thumbs pointing over your front shoulder (left for right handers) for a "normal" fade end up with your thumbs pointing over your left ear. Managed to go to the range 5 times this week after work. Worked on fades and draws paying attention to my finish position. Draw is the most difficult for me. Also, not a lot of distance with both shot shapes. What I noticed with the draw is that I needed to go more around. Slowly but surely, this forced me to extend more my arms especially when going through... And to move away from the ball. I remembered what Shawn says about distance to the ball i.e. 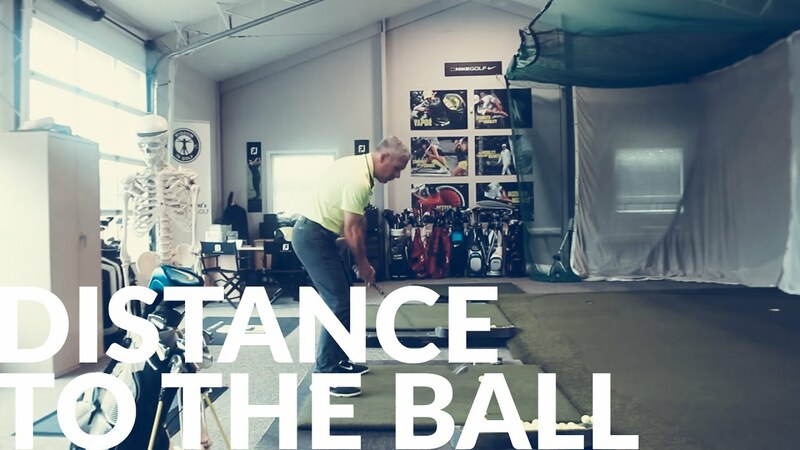 take a practice swing and notice where the club passes... and move the machine forward / bring that to the ball. This is exactly what I did with good result i.e. more distance and easier to shape the shot. Also, really feel the wrists now during the swing. Also noticed my body really staying back to keep its balance while the arms went through. This was very noticeable. I'm also more organised during my practice sessions. I know what I will work on and stick to the plan (vs working on something else as soon as I hit a few "bad" shots). I used to hit ball after ball but now I usually hit between 80 and 120 balls during one session (that's 2 to 3 half-buckets of 40 balls). 80 balls takes me 1h15m. All these practice swings take time ;-) as well as evaluating and reflecting on each shot. Draws are really coming along now. Focused on my wood today. The last practice sessions I tried to rotate around. Retrospectively, it was kind of an over the top move. Found it difficult to keep my balance in the finish position and it was not effortless. I experienced something different today, namely the right shoulder going down from the top with an inside / outside path. Easier to go right and draw the ball. Funny how this came along. Only focused on the trajectory and just experienced this. Thought it was great so just repeated. Still a tendency to hook the ball or go right with draw. Focusing on the trajectory is a real change. I really have it with fade. Look at the target / trajectory. Take a practice swing, keep my finish position and visualise the ball going to the "intermediary" target and curving back to the target and execute the shot. I tend to loose the target / trajectory with draw. Don't know why but I'll keep working it. Played around with front and back foot opening as my Pro asked me to do. I got the best result by keeping the front foot square and opening the back foot. 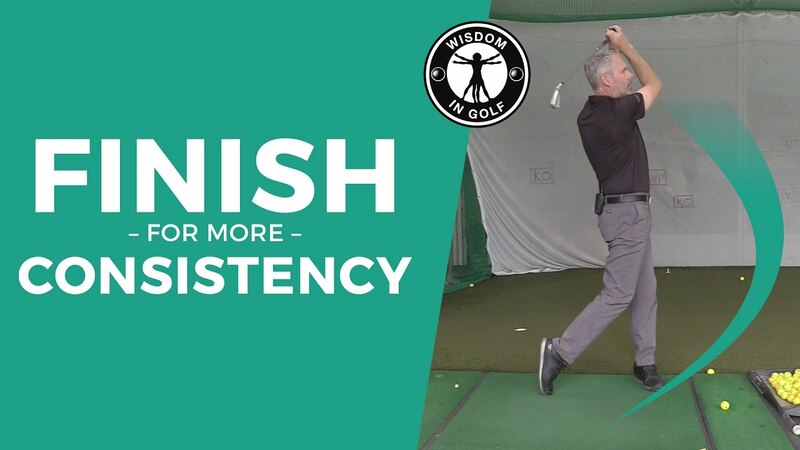 This naturally shifts my weight on the front foot at address (braced tilt I guess) and allow me to easily turn in the backswing and keep the "pressure cooker" against the left side. I feel my weight is always on or against the left side during the whole swing. Very powerful and consistent. I've been working on draw and fade at the same time. Fades are coming nicely but still ups and downs with draws. Happy about the improvements and more consistent swing. Seeing that you are experimenting with feet at set up, I thought I would mention an observation of my feet at set up. Something I noticed that I do when I try to match my set up with the shot (draw or fade) with the IT. For a fade my front foot tends to be a bit back of my back foot. And for a draw my front foot tends to be a bit in front of my back foot. thank you, but i not because That's where WIG is good with its external focus. Don't try to get body parts in such or such position but focus on result (ball to target) or process (cut dandelion stem). Also, WIG has good drills to cover different styles. I'm thinking one leg drill or feet together drill. Having said that, being conscious of our own style is important to understand if such or such advice is relevant or not. Real improvement today at the range with draw and fade. I used to have an intermediary target e.g. the 100 meters mark left of my final target (the 150 meters mark). I would swing to the intermediary target. I got rid of this intermediary target. I just focused on the final target and the trajectory to get there. A lot better. A lot more accurate in terms of distance and more freedom in the swing. Had a lesson with my pro yesterday. Fade is in the box but still have issues with draw. My pro had me analyze my shots. We talked about the effect of club path and club head orientation. We then worked the club path and the club head separately. I setup parallel to the mat and had to hit straight ball left and then right. Still parallel to the mat, I had to curve the ball left and then right (think hook and slice). Practice and combine. I also tend to hit very high ball with irons and staying back. We worked again on feet opening but I must say it's a tough one for me. I don't feel at ease with the front foot open. I will diligently work on it and see how it goes. So, good progressive improvement but still work to do. Enjoying it. Ferko - great, great stuff - congratulations to you and your Pro for your focus & progress with this critical point in your progress. 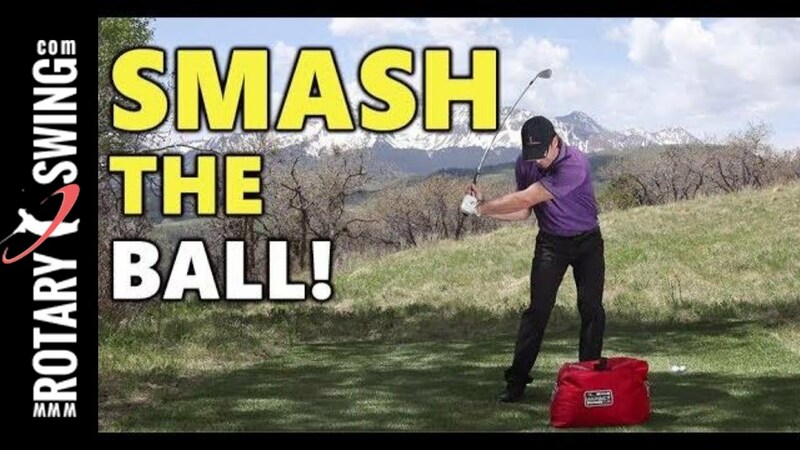 Being able to make the swing results predictable and controllable is the 'aim' of doing range work .. as you continue to build your external focus & awareness of where you want to direct your swing energy and how you want it to look - it will be less about your 'creation' and more about just admiring your results. However you have 'labelled' this and whatever this work is .. between this and your scoring game work - this is the right place to stake your claim.. hit your fundamentals and these kinds of focus/effort hard and don't let go. Good Luck!! Kid, thanks for the encouragement. External focus and awareness is the way to go. This is the real change for me. My pro is keeping me on track. What I needed. Having said that I noticed today that my shoulders are really relaxed with the woods versus a tendency to contract them with irons (especially in the downswing and impact area). Like Shawn has shown in the past, it might help if you bounce the ACU up and down a little at address (heavy wet towel analogy) to allow you to relax your shoulders and arms, and get you ready to feel the weight of the ACU as you swing. Think heavy momentum through the shot . . . feel that you're really using the weight of your shoulders and heavy arms to compress the ball through the door frame.